I usually don’t promote anything on the blog, but I really wanted to let readers know about Ethan Brown. I first saw Ethan perform at a local “Skepticamp” in Concord NH and was blown away. I was lucky enough to see him perform in Las Vegas, and he’s better than ever. He really blew the entire audience away, by simply doing math. I know that sounds a bit odd, because I have to be honest, I thought I didn’t like math. Math was the subject I barely tolerated. If you ask many students what they think about “math” they will respond with “boring”, “hard”, “difficult”, “only for the smart students”. Ethan not only shows the audiences he performs for that math can be exciting, he also shows it doesn’t have to be as difficult as reputed to be. Learning a few math “tricks”, really in my opinion just learning to think about math in a new way, makes anyone feel smart. Or perhaps I just learned math is possible for everyone. I gained so much from enjoying Ethan’s performances that I asked if I could promote his work via the blog. His father, Chris, kindly consented. 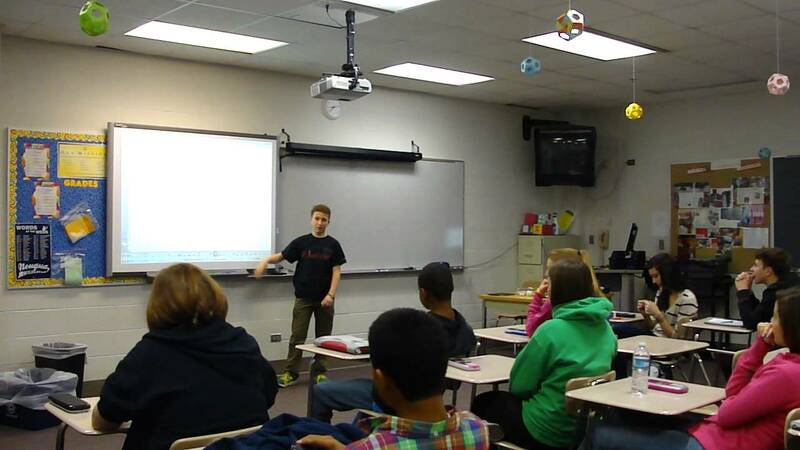 If you are a teacher, or work at a school, consider having Ethan come to inspire your students. Ethan Brown is a 14-year-old high school freshman at Phillips Academy (PA) in Andover, MA. PA is a boarding school that has extended breaks. This often mean that Ethan is back home with his family while public schools are in session. In Ethan’s case, this presents a unique opportunity. 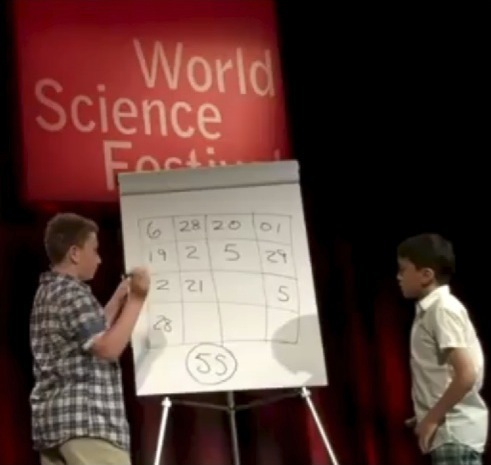 For the last several years, Ethan has traveled to places all over the world to perform a mental mathematics stage show. Venues have included Las Vegas, St. Louis, Boston, New Delhi, Chicago, New York City, and a variety of schools mainly in Connecticut where Ethan’s family resides. Despite the globetrotting, Ethan’s favorite venues are schools where he can show the kids how much fun Mathematics can be. Now, when he’s home on a school break, he books his days traveling to various schools and libraries to perform for and inspire other kids, who are usually only a few years younger than him. Ethan also writes a mathematics blog at www.CoolMathStuff.com where he has posted at least one new column every week for over two years. His goal is to take interesting mathematical concepts and make them understandable for anybody who happens to come across the blog. Ethan aspires to become the Carl Sagan of mathematics. Dr. Sagan showed the world that something is scary and intimidating as science can be understandable and beautiful when presented correctly. Ethan plans to do the same thing with mathematics. Looks like he’s off to a hell of a good start. Check him out at http://www.EthanMath.com. If a gifted youngster can bring others to an understanding and even enjoyment of Math it’s a great thing. Most youngsters tolerate the lesson because it’s not optional but they don’t learn anything except the basics and derive no pleasure from it. If Ethan inspires just one pupil per class or per show to enjoy the subject he’s doing really well and maybe a few teachers should be taking lessons from him in how to inspire.